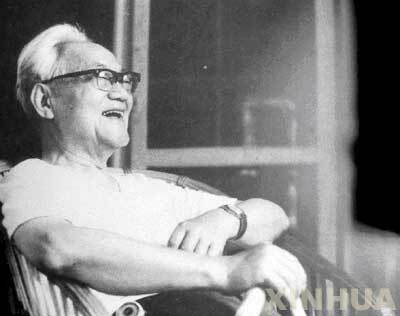 Ba Jin (1904-2005) is considered to be one of the most important and widely-read Chinese writers of the 20th century. He wrote under the pen name of Ba Jin (巴金, also Pa Chin), allegedly taking his pseudonym from Russian anarchists Bakunin and Kropotkin. Ba Jin is also an excellent translator and was devoted to translating Russian literature into Chinese, including Pushkin and Turgenev's works. He spoke and advocated Esperanto and in the 1980s was the vice-president of the Chinese Esperanto League.